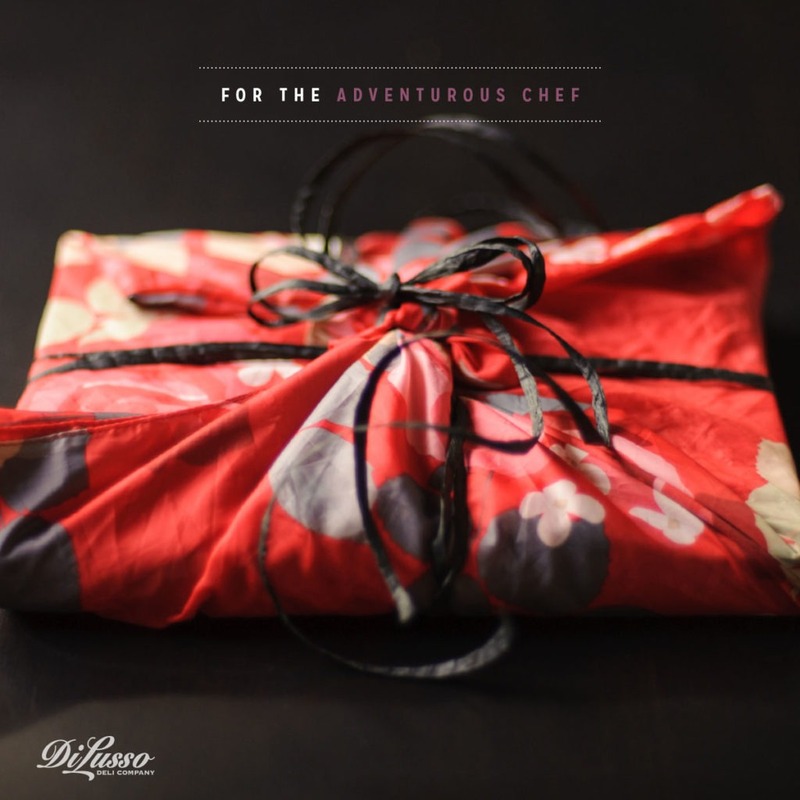 We’re all too familiar with that last minute hustle to find the perfect hostess gift. Even though it’s the busiest time of the year, putting together a unique, useful and memorable token of gratitude for your generous party host can be much simpler than you might think. Just a little bit of creativity and personalization can make the ordinary, extraordinary. We may all love delicious food, but the true foodie’s love runs deep. And the path to their heart is lined with condiments. 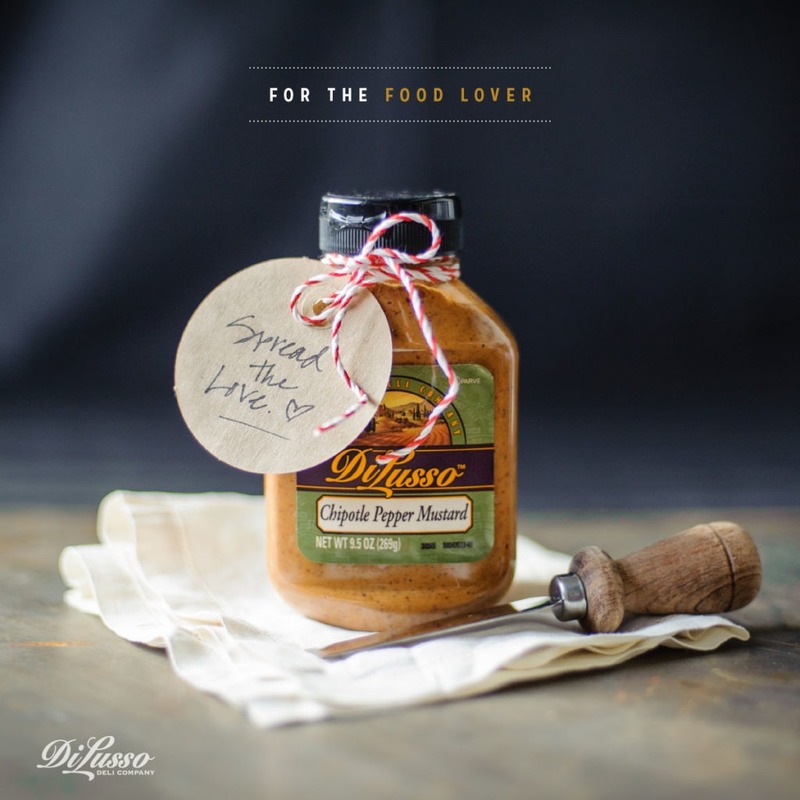 A trio or select of our specialty DI LUSSO™ Mustards in flavors like Chipotle, Jalapeño and Cranberry Honey are certain to delight the food lover’s palette. Attach a lovely spreader with natural jute twine or ribbon and personalize with a holiday tag to spread the love. Take it over the top by adding in a favorite bottle of wine or charcuterie style cheese board. Making your host’s morning-after carefree and delicious is a gift they’ll truly appreciate. After all, the last thing they want to think about is the next meal. 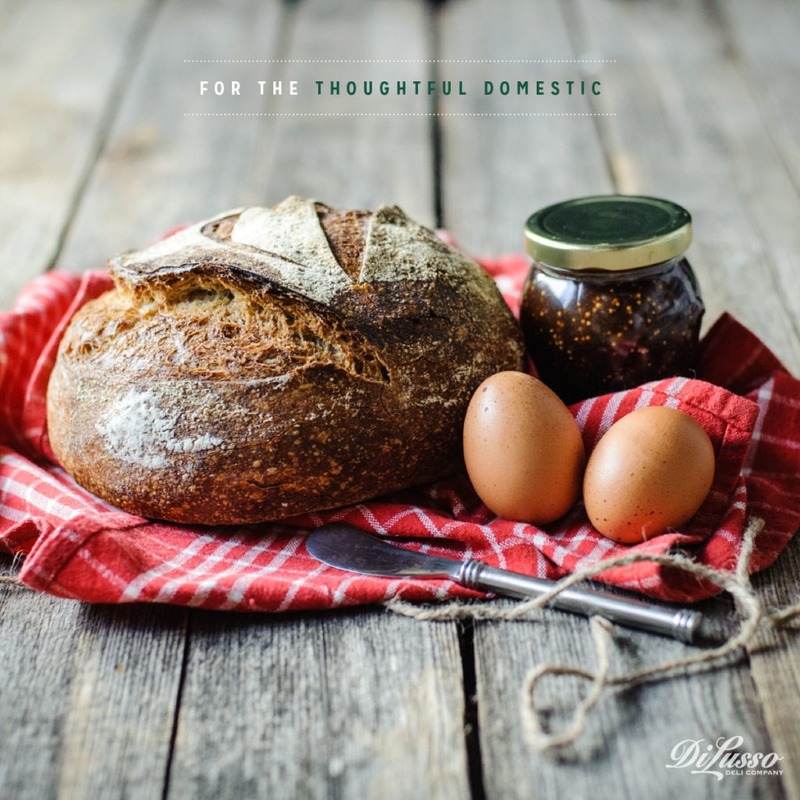 Wrap up an elegant European style breakfast with a fresh-from-the-bakery baguette or brioche, jar of exquisite preserves, sliced DI LUSSO® Meats and Cheeses, and a sampling of fresh fruit. For a more hearty option, include a half dozen of fresh eggs. 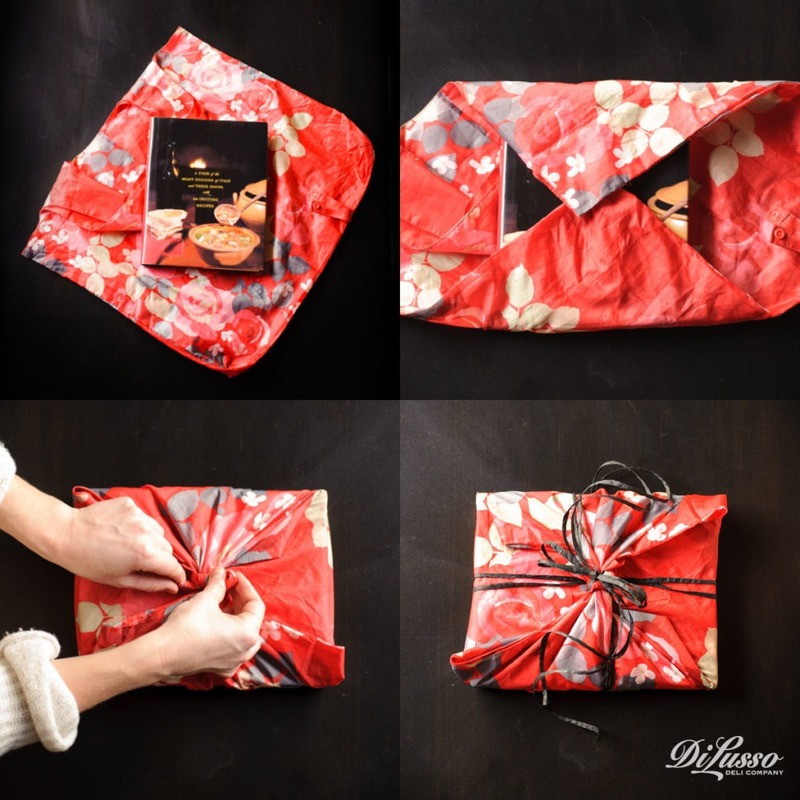 Whether traveling across the pond or just across the kitchen, this host will adore our take on the traditional Japanese style of gift-wrapping. 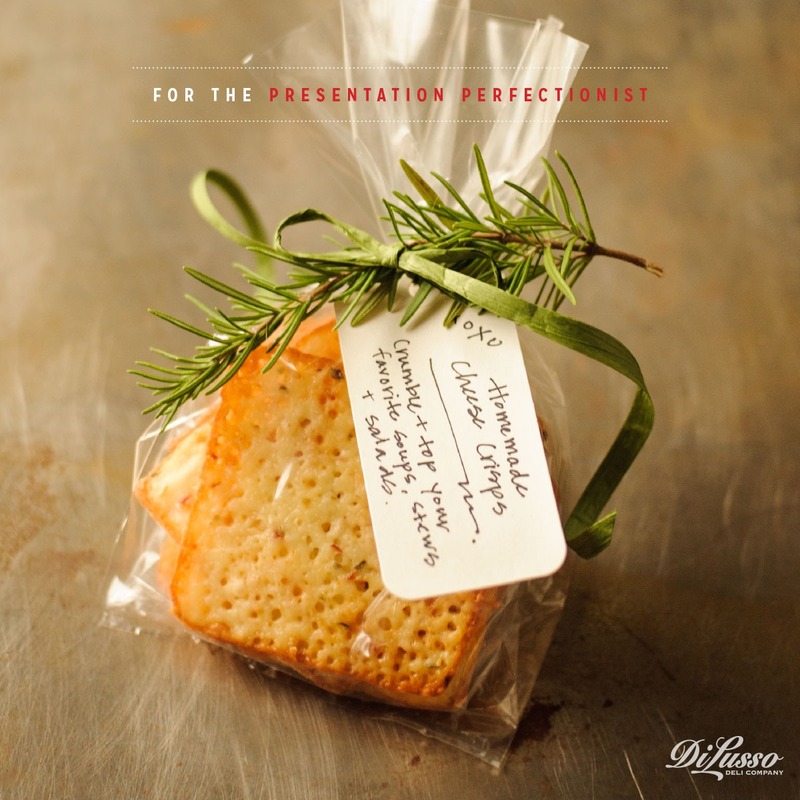 Wrap a globally inspired cookbook in a reusable grocery tote for a unique presentation that is both beautiful and ecofriendly. Tie it up just so, and include a lovely bottle of wine perfect for pairing. Presentation is everything for this host. The beautiful wrapping on a gift with touches of ribbons and greens means as much to this detail-oriented host as the gift itself. Take something you likely already have and know your host might want or need. Some easy home-made cheese crisps, a box of gourmet cookies, or some fresh flowers and fragrant greens. Wrap with butcher, kraft or parchment paper, a cello wrap, or some wax paper and then finish with a nicely-tied ribbon and sprig of green. It’s all about taking what you have on hand and making it beautiful.